acboardwalkrealty.com Condos For Sale - Atlantic City NJ Real Estate, Atlantic City NJ .. The site has about 33 users daily, viewing on average 12.00 pages each. 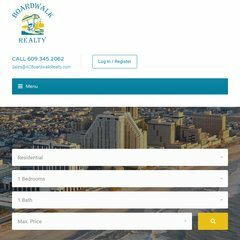 Acboardwalkrealty.com's server IP number is 38.119.86.101. There are 2 Nameservers, ns46.worldnic.com, and ns45.worldnic.com. It is hosted by Ionet Inc (District Of Columbia, Washington,) using Apache/1 web server. PING www. (38.119.86.101) 56(84) bytes of data. A time of 57.3 ms, is recorded in a ping test.